On Saturday 23rd February at the Norwich City v Bristol City game (the nearest game to the birthday of our beloved hero Justin Fashanu) we will be launching a campaign with Norwich Pride called “Show Some Respect”. 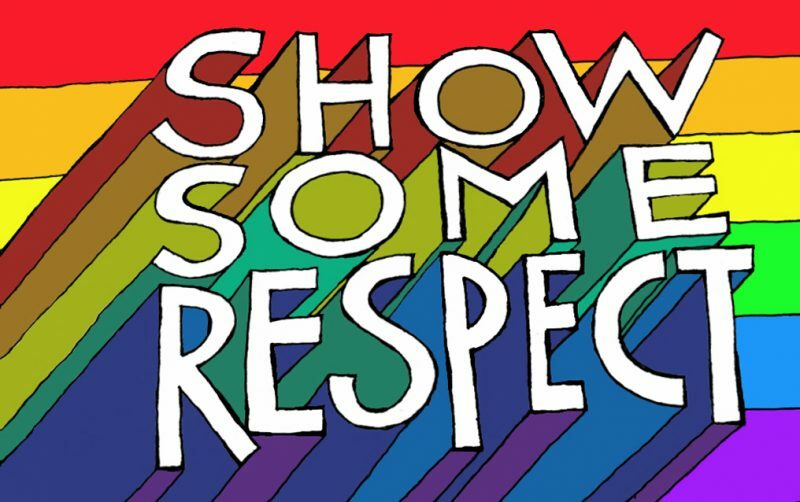 With artwork from David Shenton, taken from his acclaimed comic strip that has been shown at Wembley, the “Show Some Respect” cards give a simple and clear message to help you tackle LGBT-phobia on the football terraces and in the playground. The instructions on the back go like this: “If you hear someone saying horrible things about LGBT people, call it out … simply tell them to SHOW SOME RESPECT.” We have got cards and stickers available free for schools. We have a brilliant assembly pack by Nick O’Brien to go with the cards. The Show Some Respect campaign is in the memory of our beautiful friend and the proudest of Proud Canaries John Griffiths. Email info@norwichpride.org.uk for more details.